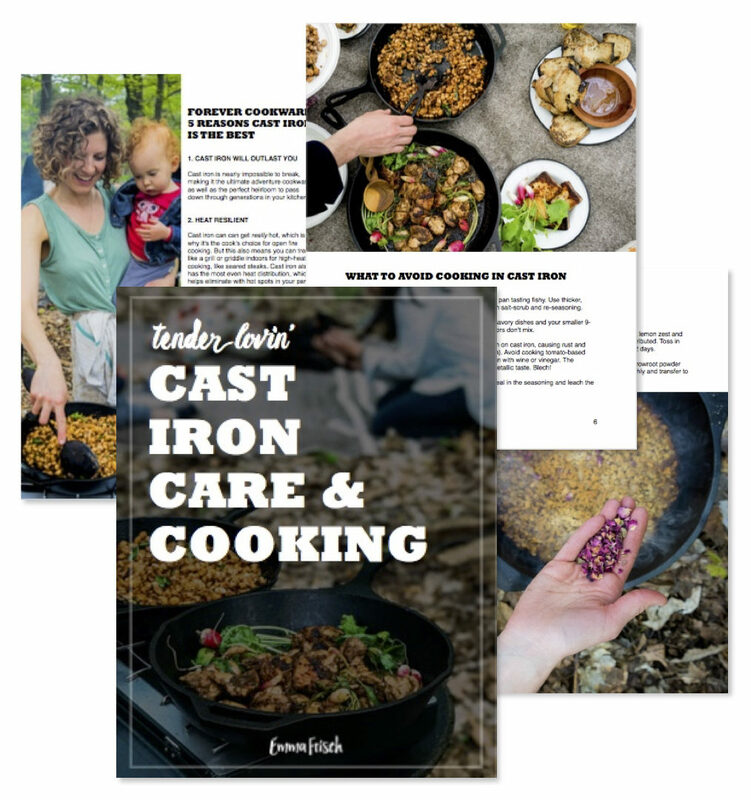 When you subscribe to my newsletter I’ll send you my free e-book, Tender Lovin’ Cast Iron Care & Cooking. This one-stop guide includes 3 simple, delicious recipes to put your cast iron to use right away, indoors or out! It’s the perfect compliment to my new cookbook, Feast By Firelight: Simple Recipes for Camping, Cabins, and the Great Outdoors.